In the fast paced world that we live today, we value information that we can access with just one click. I believe that time is precious, time is money. If you can get valuable information without leaving the comforts of your home, why not access it. BigBenta.com added another first in the Country’s online E-Commerce industry with the launch of its online state-of-the-art, Real Estate Brokerage arm, BigBenta Prime, last March 29, 2017 at the Ridgewood Towers in C-5 at the Bonifacio Global City. 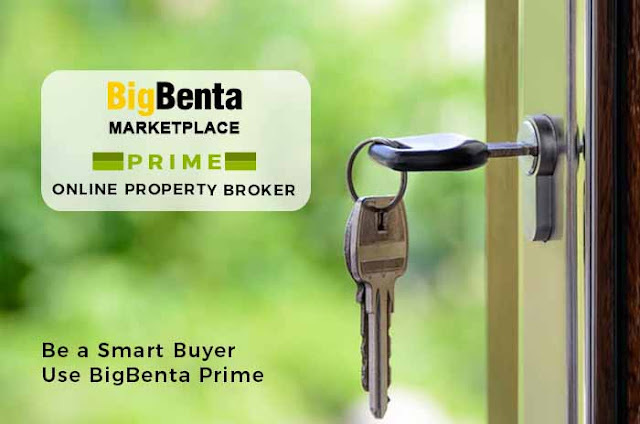 BigBenta Prime, the first in the Philippines made by Filipinos for the Filipinos, will facilitate the complete cycle of the buying transaction --- from viewing the property, to knowing the places of interests nearby, to inquiries, to buying the specific property – not to mention reservation, financing and payment. In the past, traditional real estate transactions focus on just the property itself. Now, BigBenta prime will give buyers the 360 degree view of the area, nearby establishments and places of interest (nearby schools, churches, banks, police stations etc), flood hazard mapping and competition properties to help you make that “one great informed decision”. BigBenta CEO and Founder Charlie Fong’s inspiration are the OFW's. BigBenta Prime was conceptualized and developed for the online community, including professionals and millenials both here and abroad, to assist them in not just making informed decisions in buying properties amidst the noise and competition in the real estate industry. “I was an OFW myself. I want to make sure that my hard-earned money does not go to waste, especially if it means realizing a dream home for the family. Now, BigBenta can help OFW’s search, view and decide for their property investment while they’re away just by logging into the BigBenta Prime Website”, Charlie Fong emphasized. BigBenta.com’s first of its many Real Estate Development partners, ServeQuest Group, is expecting hastened and increased sales plus a widened customer base of its properties through the new BigBenta Prime Platform. ServeQuest Group properties include Monte Carlo Residences and Ridgewood Towers Premier. Mr. Bobby Alvarez, Chairman of ServeQuest Group mentioned one enticing information on real estate offerings in BigBenta.com -- the properties being built and developed are very competitive in terms of prices. For example properties in Ridgewood Towers in C-5 sells at a lower price compared to the ones inside BGC. But hey Ridgewood Towers is located in front of McKinley Hill, a few minutes walk to SM Aura and Market Market and is 15-30 minutes away from NAIA. For more information on their other services such as Classified Ads, Online Store and Service Booking you can visit https://bigbenta.com/ or get social on BigBenta Facebook Page. You can also access BigBenta Prime for your dream properties.